Friday | June 16, 2017	3 Perfect Butter Cakes, best paired with hot cuppa, your bffs or family during a perfect afternoon. Rich buttery tones accentuate the butter cakes, giving an aromatic flavour, for a good afternoon delight. Using premium butter & flour, each butter cake is crafted with love & passion from a team of dedicated & committed award winning pastry chefs! Choose from 3 available flavours ~ Pineapple Upside Down, Banana Cream & Cream Cheese. 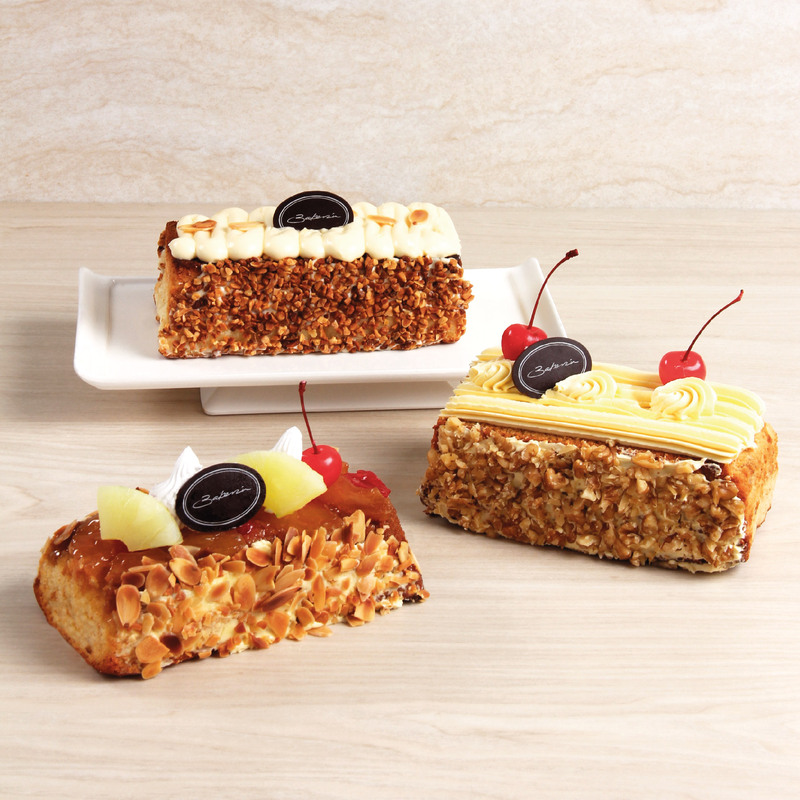 Butter Cakes will be available at all Bakerzin outlets & eshop from 6 June onwards.